New Jersey has embarked on an evaluation pilot project to give us valuable information about how to develop a fair, effective teacher evaluation system because our students deserve the best, and our teachers want to give their best. Recent research shows that despite the United States’ slipping in rankings on international tests (2009 PISA results place the U.S. 17th, 31st, and 23rd in reading, math, and science, respectively), virtually all teachers are rated satisfactory, and most educator evaluation systems fail to incorporate measures of student learning. Effective educators are the most important in-school factor for student success. Teachers need timely, actionable feedback to improve their practice -- and students deserve high-quality teachers who continuously grow and improve. Currently, New Jersey lacks a robust statewide evaluation system that adequately measures effectiveness and distinguishes between teachers who are excelling and those who are struggling and need support. The Gibbsboro School District will be taking the first steps in the EE4NJ Program in order to create a more meaningful and effective evaluation model for our school. As twenty-six states have already implemented new teacher observation methods based on assessment as part of a nationwide educational reform initiative, New Jersey is behind in that we have only just began to explore its options. The Gibbsboro School will choose an NJDOE endorsed teacher evaluation framework for promoting teacher effectiveness and professional learning. A District Advisory Committee (DAC), comprised of administrators, teachers, board members/parents, will guide the direction the district will take in this initiative. Administrators and teachers will receive ongoing training in the selected framework to learn observation practices. The district looks to provide evaluation tools that promote student learning and growth. The goal is to develop an evaluation model that fosters specialized professional growth opportunities for our educators. It is important to identify teacher strengths and best practices, and find ways to share such expertise in a professional learning community environment. 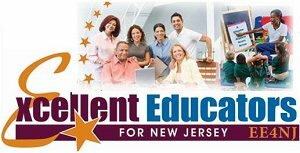 Gibbsboro is committed to making a positive impact on the EE4NJ program, and keeping this impending tool as a value-added instrument.